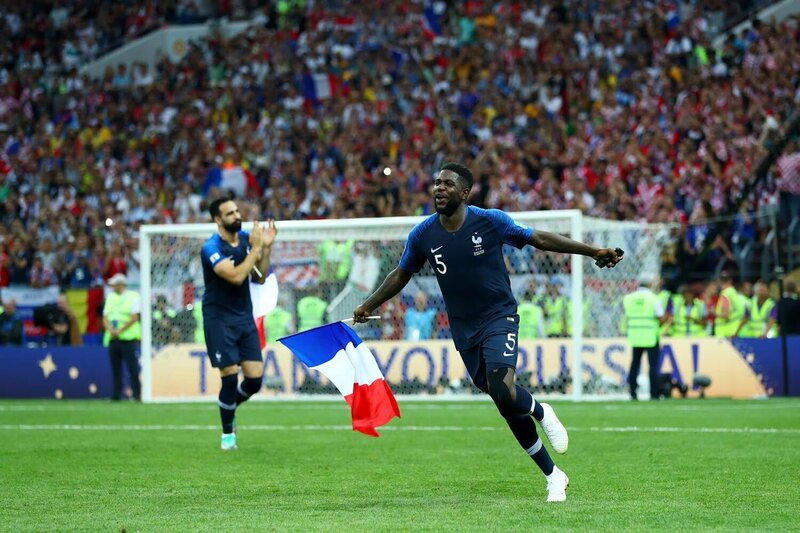 After one month of electrifying battles and mind-blowing performances, the winner of the 2018 FIFA World Cup in Russia finally emerges and it is none other than a team who was regarded as one of the favourites at the beginning of the tournament in Les Bleu of France who defeated first time finalists Croatia 4-2 to win their second World Cup ever and their first in foreign soil. Juventus forward Mario Mandzukic thought he was shooting in the opposition’s goal when he put the ball into his own net after 18 minutes. The forward then played a crucial role for his team’s equaliser by winning an aerial duel that then allowed for winger Ivan Perisic to bag the equaliser ten minutes later thanks to a Vida assist. Croatia were the better side for the entirety of the game and didn’t allow France a single shot on target in the first half except for Antoine Griezmann’s penalty. The Atletico Madrid striker converted from the spot on 38 minutes after Ivan Perisic went from hero to villain in 10 minutes by handling the ball in the 18-yard box. It ended that way in the first half, 2-1 in favour of France. The French started the second half much better than they did in the first and got their third goal courtesy of a beauty from Paul Pogba 15 minutes into the second half giving his side a 2-goal lead before Kyliann Mbappe made it 4-1. Hugo Lloris then pulled off a stuff of clowns as he tried to nutmeg Mandzukic but failed miserably and allowed the forward the simplest goal of the tournament to make it 4-2. The game ended that way and France went all the way to win their second title ever. Samuel Umtiti played a major role in the win as he was solid and composed at the back all through the game. Sadly, Ousmanne Dembele didn’t feature but he too will boast of a World Cup winners medal nonetheless. Ivan Rakitic was at the losing side after being one of Croatia’s outstanding performers of not only the game but also the tournament.